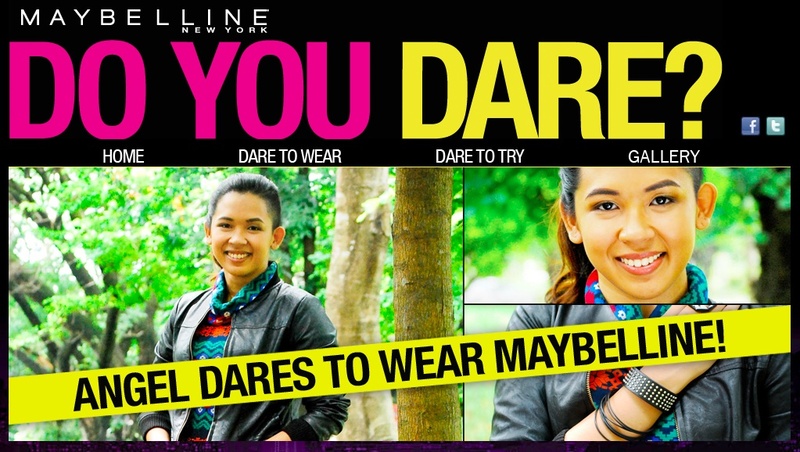 Basically, back in June, I received an email from Maybelline New York to be one of their Dare girls. 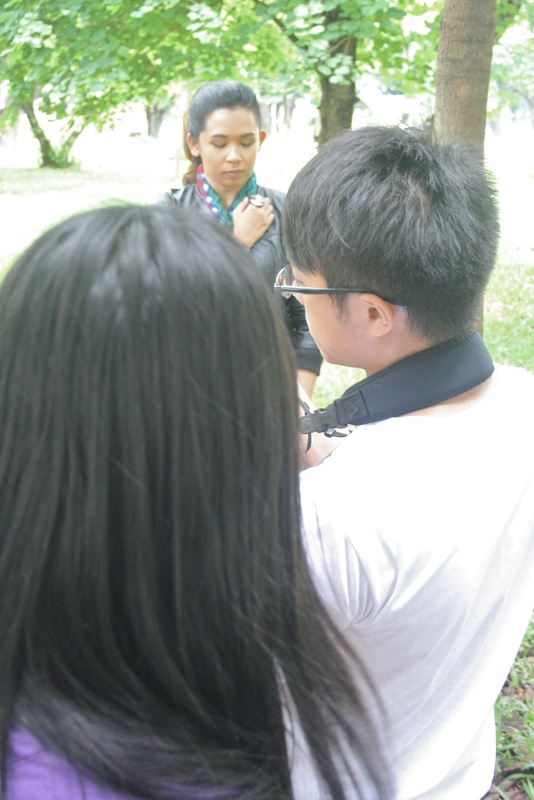 So, at the end of that month, sleepless-and-very-excited-me went to UP Diliman with the also-sleepless-but-not-as-excited-babydaddy, who promised to take my BTS shots during the shoot. Changing into boots for my second look! To be perfectly honest, I had no idea what to wear for this look. I'm not really the tribal print type of girl, so this is the only tribal piece of clothing that I actually have in my closet (thank God I had one!). Also, I don't mean to sound diva-ish here, but I hated what they did to my hair coz I hate my ears and tying it back definitely drew much more attention to it. Ergh. 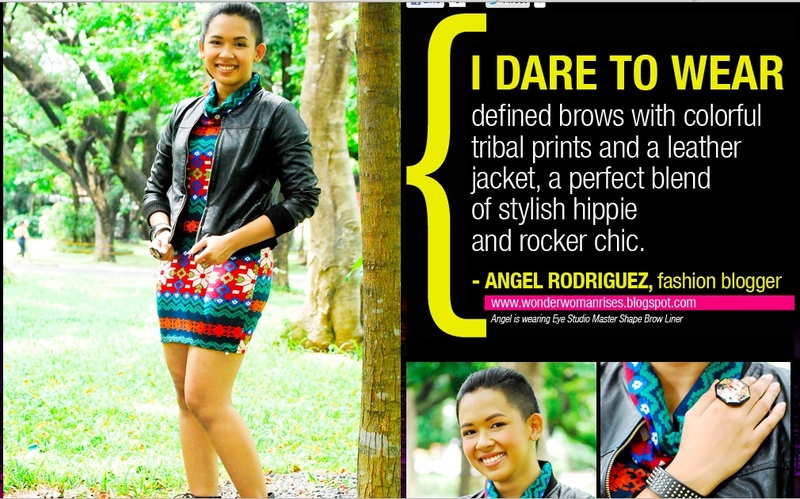 Plus, he and Gela Francisco - Gela's the one who chose me for the shoot! :) - were very accommodating, nice, funny and easy to get along with. It was like shooting with friends. Loved them to bits! When it was time to shoot for the accessories, Lee said, "Just think of this as an outfit shot!" Haha. Easy peasy! The babydaddy was also able to take some shots of them shooting fashion blogger Aileen Belmonte who was part of the Bohemian part of the shoot. I'm actually reeeeeally glad that I saw her after I took my Bohemian shots. Otherwise, I would never have gotten out of the bathroom. I felt so inferior after seeing her. Lol. Seriously. 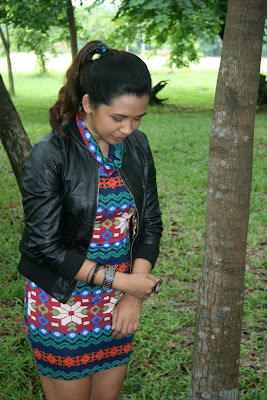 Check out her complete look here. 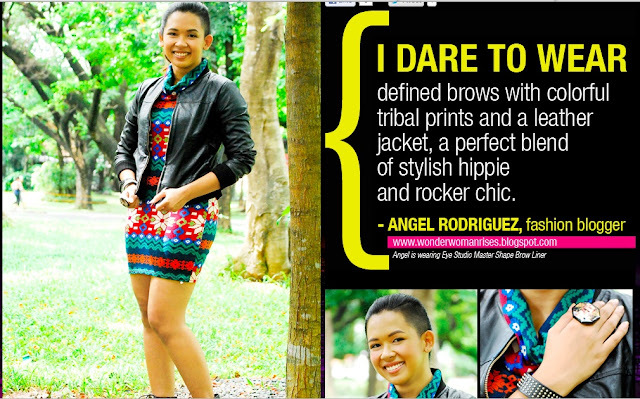 See my complete Tribal Dance feature here. Thanks again to Gela and Lee for being so awesome! I really hope I get to work with you guys again soon! And of course thank you to Maybelline for this awesome opportunity. Now, who wants a Maybelline giveaway? :) I'll be having one in my next blog post, so stay tuned!!! Wow! What a great opportunity and I think Maybelline made a wonderful choice. Thank you for visiting and the kind comment. I am now following you on GFC. Hope you'll do the same. Congrats! You're so lucky to work with Maybelline. You're totally rocking that look! Oh my gosh this sounds like such a fun and amazing opportunity!